So you’re about to undergo a kitchen remodel project, congratulations! 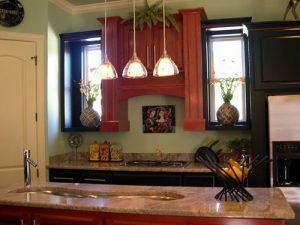 The first step to any successful kitchen remodel is gathering inspirations and ideas so that you can achieve your dream kitchen. Because after all, the point of a kitchen remodel is the realization of a dream kitchen, is it not? Therefore spending endless hours collecting inspiring kitchen photos, while fun, does not ultimately translate into your new dream kitchen necessarily. One of the toughest parts of a kitchen remodel is deciding what look you’re going for and how you intend to get there. There are so many options out there that narrowing down your options can be a challenge. Here are some ideas for gathering inspiration and making decisions from Houzz.com when it comes to your brand new kitchen remodel. Collect images that speak to you emotionally without thinking about why. Oftentimes patterns emerge even if you didn’t realize that you have a propensity toward one particular style. Don’t skip over styles that speak to you even if they don’t relate to your current project. Save those for later. At the beginning it’s ok to gather images and clippings with reckless abandon, if you like a kitchen cabinet refacing option but aren’t sure if that’s for you, save it anyway. Don’t edit yourself yet. Don’t worry if your images and clippings are gathered in an unorganized fashion. This is a time for creativity and by obsessing about order you can stifle your creative tendencies. There will be time to go back and create order out of your creative mess. If you’re interested in having some help along the way, consider hiring a design professional. Start looking for designers that create the designs that you’re drawn to. A professional can help facilitate the entire remodel and can even help you decide on what you want. Once you have a bunch of material and inspiration to work with go back through and put them into loose categories and also start considering why you like certain looks and why you don’t like certain looks. Take some time and then go back through your inspiration book to see if you still respond emotionally to your selections, if you do then it’s a keeper. Once again, go back through your saved images and search images for specific items. Find what you like best about each picture and edit down your saved images once again. Once you’ve done this you should have a pretty good idea of what type of kitchen you’d like to create in your home. Happy inspiration gathering!